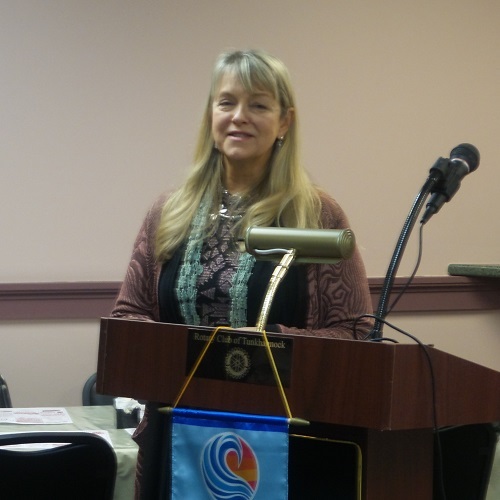 Donna LaBar was our guest speaker at the Mar 7 Rotary Luncheon at Purkey's Pink Apple. Donna is a realtor and appraiser, but she has a second passion and deep interest in cellular regeneration and the ability of the body to heal itself. She has an inquisitive science-oriented mind, is a health and wellness coach and has published a book on the subject (Simple. Natural. Healing.). Donna then spoke about how our body heals itself and what we an do to help our body do so. She especially emphasized the need for water, mineral and salts and their role in the 3 fluid systems in our bodies.